Imagine you are Mary Magdalene moseying up to the tomb in which one Jesus is resting. And imagine that an angel suddenly appears and rolls away the stone in front of the tomb. And imagine that angel tells you Jesus ain’t here, see, cuz he’s risen so go and tell the disciples. How would you feel? You have to go tell people a guy who died a few days ago in rather graphic and public fashion just rose from the dead. To spread that news would take a lot of faith. Right? Like, a cornucopia of faith. 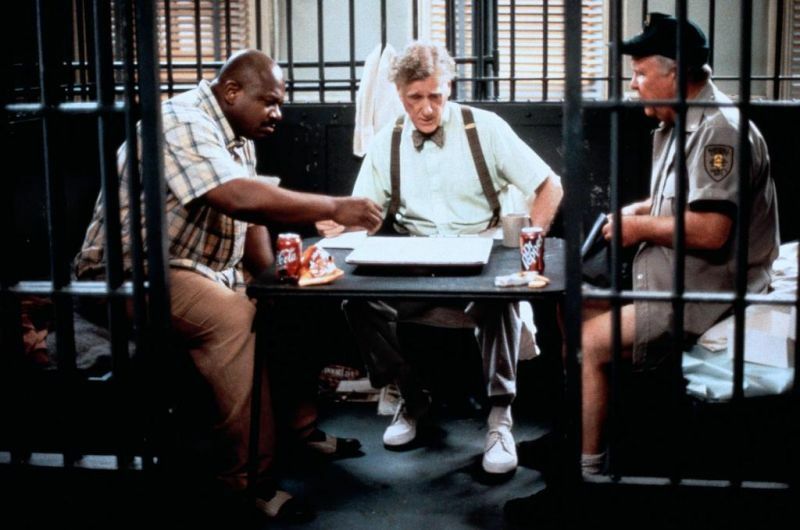 In “Cookie’s Fortune” (1999) after Willis Richland (Charles Dutton), the caretaker of the matriarch (Patricia Neal) of the title, is accused of murdering the same woman for whom he cares, there is a moment when the hotshot out-of-town detective Otis Tucker (Courtney B. Vance), who really should have his own show on FX, is interrogating a local blues club owner. The owner explains that Willis recently “stole” a bottle of Wild Turkey. But he only “stole” it because he was short on funds and he fully intended to replace it the following day, which he did. Neither Willis nor the owner ever talked of this out loud, it was just an unspoken, unwritten agreement. It was this kind of……faith in one another. “Cookie’s Fortune” is my favorite Robert Altman film (and, rest assured, Altman made some fine films). And as I wrote last year I can never quite figure out how to express via writing just what it is about this marvelous film that leaves me in such miraculous slack-jawed awe each Easter when I re-watch it. I vowed to just leave it alone. And now here I am a year later still refusing to leave it alone. Such is life. I re-watch it every Easter because it is set on Easter weekend and while I hesitate to start wading too deep into religious waters on my movie blog, well, my mind during this annual viewing kept drifting back to the matters of faith – whatever faith, whatever religion, whatever doctrine, whatever you believe in, even if you specifically choose to believe in nothing (more power to you). I was raised Lutheran which means I’m introverted, polite to a severe fault, a huge fan of Garrison Keillor, and I believe whole-heartedly in the Virgin Birth. But seriously, it’s a VIRGIN BIRTH. When you take that out of the context of just trying to “pass” Confirmation so you can stop giving up every Wednesday night of your youth and think about what you’re being asked to believe, well, it takes a huge helping of……faith. Matters of faith are imbedded throughout “Cookie’s Fortune” like the stench imbedded in Manny’s (Lyle Lovett) Catfish Shack. The only reason Willis even becomes the primary murder suspect is because he shows up after midnight to clean Cookie’s guns – just like he said would because he was being, ahem, faithful to the promise he made. (His fingerprints are therefore on the gun that Cookie uses the next morning to commit suicide.) When Willis is carted off to the town jail, local law enforcement leaves the cell door wide open, having faith that Willis isn’t going to tuck tail and run (and he doesn’t). 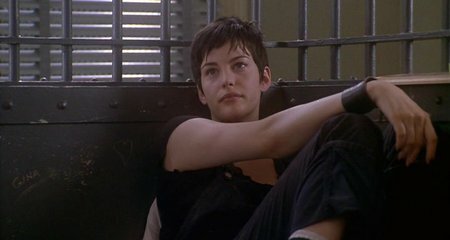 Emma Duvall (Liv Tyler) officially makes herself Willis’s cellmate, to stand beside him in his hour of need because she has utter faith that he did not do it. On the flip side, the film’s chief villain, Camille Dixon (Glenn Close), does not have the faith. She has so little faith in Oscar Wilde’s text that she takes the liberty of re-writing his “Salome” for the Easter Play. She has so little faith in how her aunt’s suicide will be viewed by the community that she goes about re-staging the suicide as a murder. Local law enforcement has faith that Camille will stay away from the crime scene but over and over she proves that faith to be misplaced. The most ingenious aspect of Anne Rapp’s screenplay (which meanders without ever feeling pointless) is how it refrains from turning this into a Whodunit? Murder Mystery. Her script never bluffs, never tries to hide its cards. It is up front and never aims to deceive the audience. It shows us straight away that Cookie has chosen to take her own life and that Camille has gone about arranging a stagy cover-up. And by plainly presenting this to the audience we always know Willis is innocent. Thus, the real drama of the film evolves from the way in which we see the townfolk hold fast to their faith that Willis could not have done it and they and we are elated when that faith is rewarded. 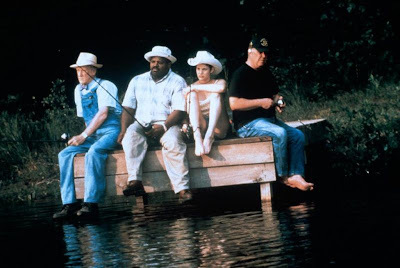 At one point Sheriff Lester Boyle (Ned Beatty) declares he is certain of Willis’s innocence. Eddie “The Expert” (Matt Malloy), Holly Springs forensics “specialist”, bristles: “What makes you so sure of that?” Lester replies, simply, perfectly: “Because I've fished with him.” Why, you can almost picture this little exchange popping up in one of the gospels. Enjoyed your discussion on faith, something I contemplate all the time. I haven't seen this, but Altman is a pretty fascinating director. I contemplate on it all the time, too. And I didn't go into this viewing planning to contemplate it but it just revealed that side of it to me. Love it when that stuff happens. I'd highly recommend you check it out. I know it seems like I gave a lot away but, trust me, that's not the case. The secrets at the end are not the sort of secrets we are conditioned to expect. It's just a loving, warm film. Since you are discussing this as your favorite Robert Altman film and since you also mentioned Garrison Keillor, I have to ask what your thoughts are on A Prairie Home Companion. Mine? Eh, not so good. My parents always listened to the show on Saturday nights, and we even had four audio tapes with collections of just Keillor's stories that were labeled after the seasons. I listened to those tapes a ton of times, and therefore, was pretty excited for the movie. I'm not going to go into an extended diatribe about what I didn't like, although I probably should to prove my depth and intelligence. Let me just say that it didn't work for me. You? Oh yeah. It worked for me. My 2nd favorite Altman film. I have friends who didn't like it either and it is a meandering narrative to a degree but I thought that captured the feeling of Garrison's News From Lake Wobegon monologues. You know, how he goes off on these different tangents and then ties them back up together at the end - not necessarily narratively but emotionally. Or maybe I'm just biased because I love the show so much.